I thought this was a bag of candy at first. This is why the skull and crossbones is needed on the label. 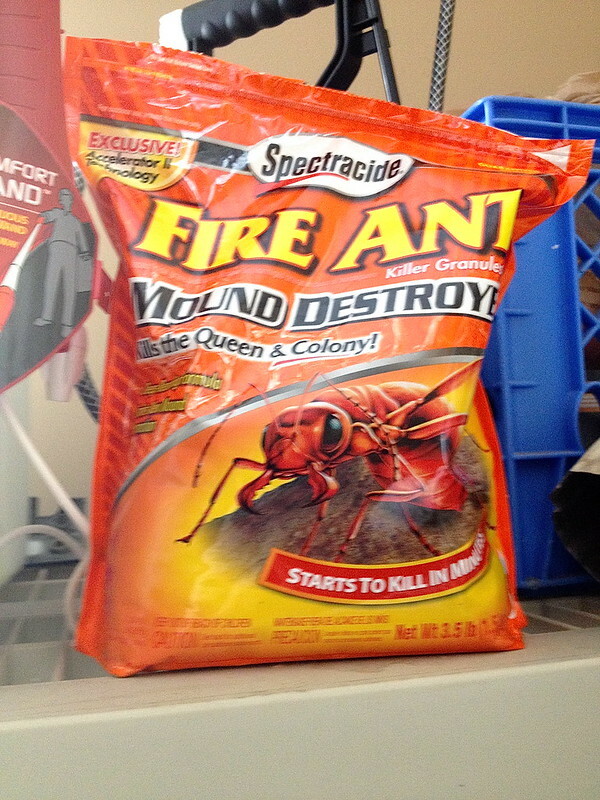 Hang on, I’ll get the Spectracide Fire Ant Killer Granules Mound Destroyer with Exclusive Accelerator II Technology.